Chogori India Retail teams up with Columbia Sportswear..
Chogori India Retail Ltd, Columbia Sportswear Company’s exclusive Indian distributor, continues to establish the Columbia brand in India with the opening of three new stores in Mumbai. With the launch of new stores, Chogori has now reached a total of 18 Columbia brand stores in India. 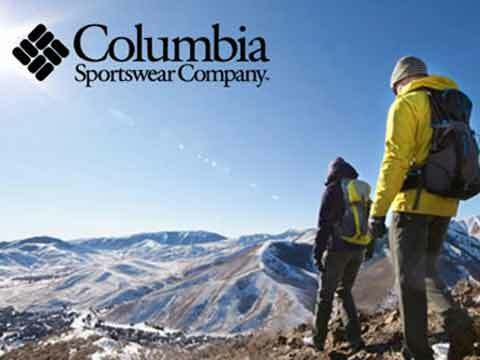 Columbia Sportswear Company entered the country in 2013 through an exclusive distribution agreement with Chogori India Retail Limited (CIRL), a privately-owned Indian outdoor brand distributor and retailer. The distribution agreement covers retail, wholesale and e-commerce sales of the Columbia® brand. Chogori’s new Columbia stores offer innovative products with various technologies that are comfortable, protective, functional and yet stylish for outdoor lovers. Columbia's apparel is designed to enhance the outdoor experience with ground-breaking technologies that include TurboDown™, Omni-Heat™ Reflective, Omni-Tech®, Omni-Shade™, Omni-Freeze™ ZERO, etc. At present, the Columbia brand is sold in 100 countries, including North & South America, Australia, Asia, Europe and Africa with over 13,000 retail doors worldwide. Columbia's extensive product lineup includes a wide variety of competitively priced product ranging from Rs. 1,199/- to Rs. 14,999/-.